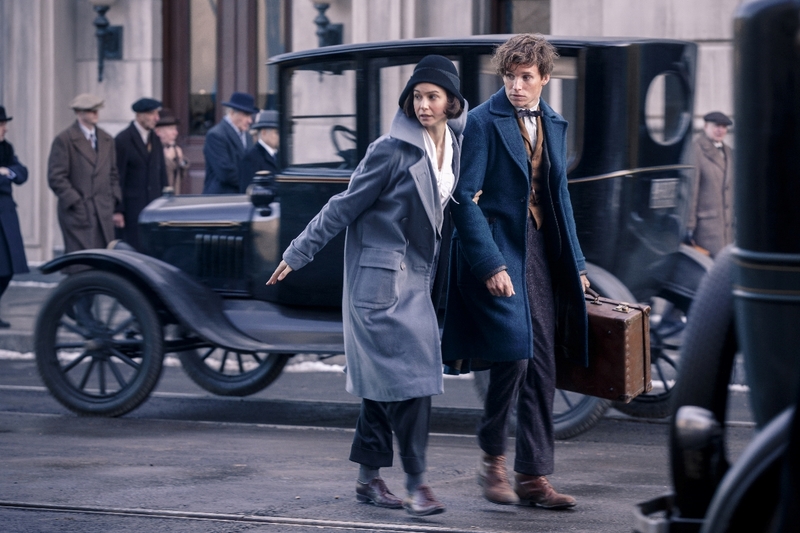 Fantastic Beasts And Where To Find Them Final Trailer Is All That's Best In Potter Films - Are You Screening? As we get closer to the mid-November release, we finally get a truly in-depth look at Fantastic Beasts and Where to Find Them, and it turns out that it was worth waiting for. Anything related to the Harry Potter franchise really needs no further sell, but even though the book and film series is almost universally loved, some films are better than others, and certainly some books leave something to be desired. Moreover, some installments aim toward the simplistic, while others (especially when considering the films) look to broaden the scope of the dialog. They’re all good, but that means something different in some cases. For example, Alfonso Cuarón’s Prisoner of Azkaban stands out among the film as the richest effort, which hoped to elevate the text and its themes. If the trailer can be believed, it looks as though this one is moving in a similar direction, now with long-time franchise feature David Yates working more directly with J.K. Rowling, who finally took the screenwriting reins. The trailer looks like a fantastic adventure, with a lot more attention to things like depth of motivation, and a horde of magical fun to boot. Relaying the American world of magic is a new twist, and bringing together another level of variety should make for an interesting exploration as well. Take a look above, and begin fevered excitement mode. The film reunited a number of people from the “Harry Potter” features, including producers David Heyman, J.K. Rowling, Steve Kloves and Lionel Wigram. The behind-the-scenes creative team included Oscar-winning director of photography Philippe Rousselot (“A River Runs Through It,” the “Sherlock Holmes” movies), three-time Oscar-winning production designer Stuart Craig (“The English Patient,” “Dangerous Liaisons,” “Gandhi,” the “Harry Potter” films), three-time Oscar-winning costume designer Colleen Atwood (“Chicago,” “Memoirs of a Geisha,” “Alice in Wonderland”), Oscar-winning visual effects supervisor Tim Burke (“Gladiator,” the “Harry Potter” films), Oscar-nominated visual effects supervisor Christian Manz (“Harry Potter and the Deathly Hallows – Part 1”), and Yates’ longtime editor Mark Day (the last four “Harry Potter” films). “Fantastic Beasts and Where to Find Them” was filmed at Warner Bros. Studios Leavesden, which was home to the “Harry Potter” films for a decade. Some scenes were also shot on location in Liverpool, England.